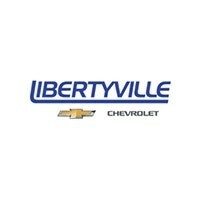 2019 Chevrolet models will become available at our Libertyville Chevrolet dealership in Libertyville Illinois. This Corvette is designed to make you feel like you’re flying down the road. With so many enhanced features and superior options, you’ll never look back after taking a test drive in this muscle car. Come down and get to know this vehicle before it hits our lot. We will do whatever we can to make sure you’re thrilled with your car purchase so that you can relax and enjoy your new vehicle without any worries. Get to know the incredible unique features of this car at our dealership. When it comes time to get to know this vehicle, you’re going to have your work cut out for you choosing your exterior styling. One incredible out-of-the-box offering is the Sebring Orange Design Package. This brilliantly colored option will bring more light to your day with the vibrant and refreshing orange coloring that goes into everything from the seatbelts to the brake calipers. This vehicle is bright enough to light up the night sky, and you’ll love taking this car out for a weekend excursion or a trip around town. Come down and see this vehicle in person and find out what it will take for you to bring this car home with you. The aerodynamics and intense styling of this incredible vehicle will be enough to floor you. The 2019 model of the Chevrolet Corvette ZR1 is going to be in stock at our Libertyville Chevrolet dealership in Libertyville Illinois. Slip inside this form-fitting vehicle and wrap yourself in the warm embrace of this exceptional new car. You’ll love all of the incredible features and the way this car accentuates your life. From our vantage point, this Corvette is beginning to look like the most well-equipped Corvette to date. Every surface is smooth and refined, every stitch and seam is handmade, and the incredible materials are designed to give you a luxury vehicle that you’re going to love. Come down and explore the leather seating surfaces and the optional suede-microfiber inserts that adorn the interior of the car. You’ll also be able to communicate hands-free thanks to the smart technologies and integration with your smartphone. The system comes with a Bose premium audio system, and you’ll love the Performance Data Recorder that is designed to help you track your vital statistics. When it comes to the powertrain and mechanical features, you have one of the most influential vehicles available. This is the most powerful Corvette ever made, and that is saying a lot. This monster wields a brand-new hand-assembled LT5 that is designed to give you exceptional horsepower and torque. You’ll love the V8 engine that gives you an incredible amount of power and reliability. The vehicle also has an impressively impossible 755 horsepower and 715 pound-feet of torque. When you come down and see this vehicle in person, you’ll marvel at its power and functionality. But, you need to give us a call and talk to us about this car. We can’t let just anybody get into a vehicle like this. 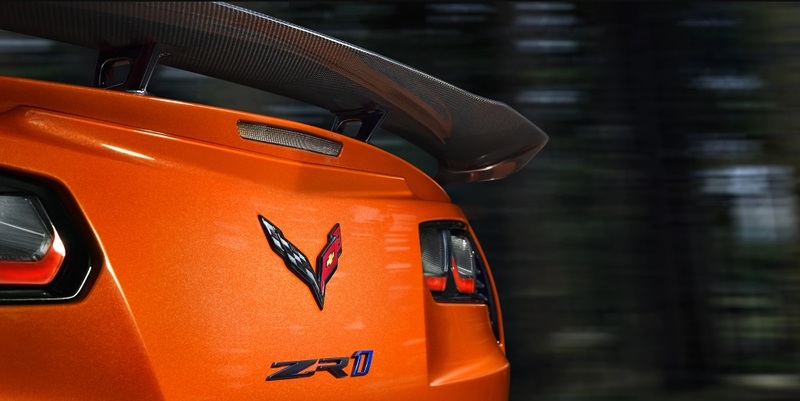 The 2019 model of the Chevrolet Corvette ZR1 will be available for purchase at our Libertyville Chevrolet dealership in Libertyville Illinois. It comes with a host of safety features that are designed to protect you and your co-pilot. Come down to our dealership to discover the remarkable 6-piston front brakes and 4-piston back brakes. This vehicle is designed to take you to the next level and keep you safe at the same time. When you get behind this wheel, you’ll have a host of airbags and other smart features that are designed to protect you. Stay better aware of your surroundings, receive alerts about dangerous situations and in the most extreme situations, let the car take control to help you stay safer than ever before. While the best safety feature is still the driver, this vehicle fuses your innate skill with smart technology to give you every possible escape route and avoid a potential crash. Come see us to find out more. If you want to be one of the first to own a new Corvette, you need to give us a call and get a quote. Once you get a quote from us, you’ll have a better idea of the total vehicle cost with our specials and incentives. We will work with you to find the best offers that are available so that you can take home this priceless vehicle today. Give us a call, and we will help you get an outstanding deal. Come down and explore the options that are available to you from our dealership. We will work hard to help you get the vehicle with the options you want. Our dealer is ready to help you find the vehicle with the options you want, and if the new Corvette is something that excites you, then you need to come down and reserve one today. We will help you work out the financing so that you can take home this incredible new vehicle the moment it becomes available.